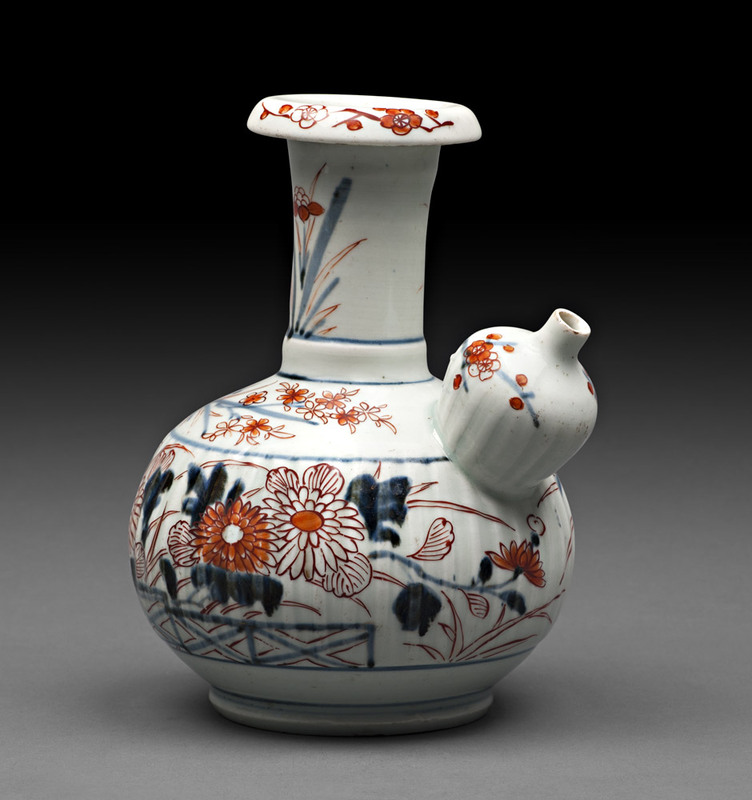 An extremely rare gourd shaped ewer with European figure, decorated with peony and scroll design in overglaze polychrome enamels. 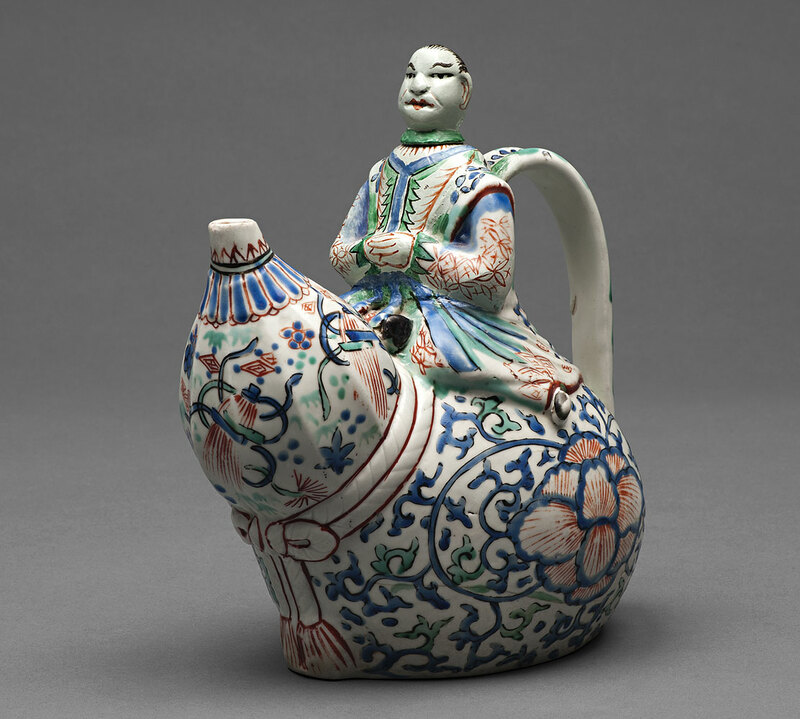 Detachable Head. 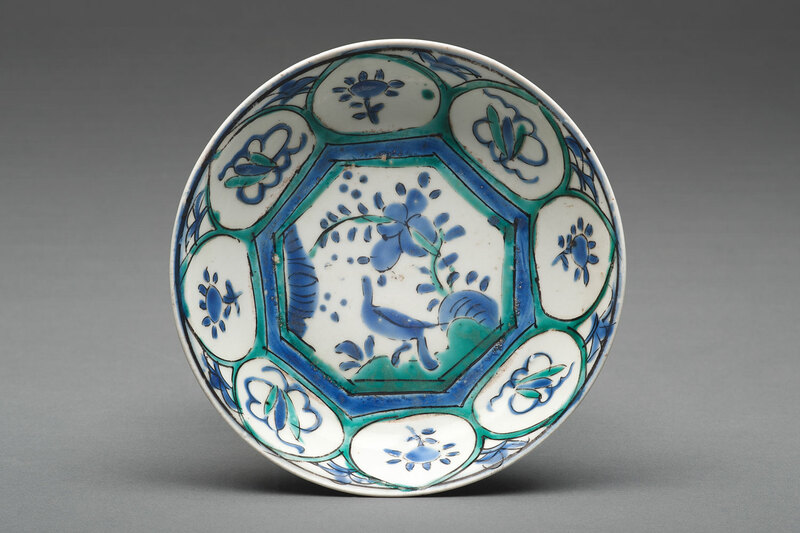 Small dish decorated with flower and bird design in overglaze polychrome enamels. Standing figure of a bijin, decorated with peony and textile design in underglaze blue, overglaze red enamel and gold. 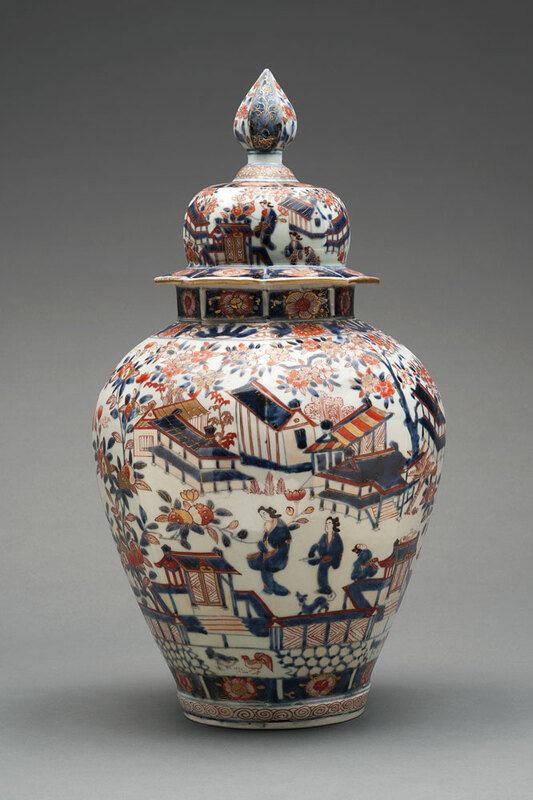 Standing figure of a bijin, decorated with chrysanthemum, plum blossom and balcony design in underglaze blue, overglaze red enamel and gold. 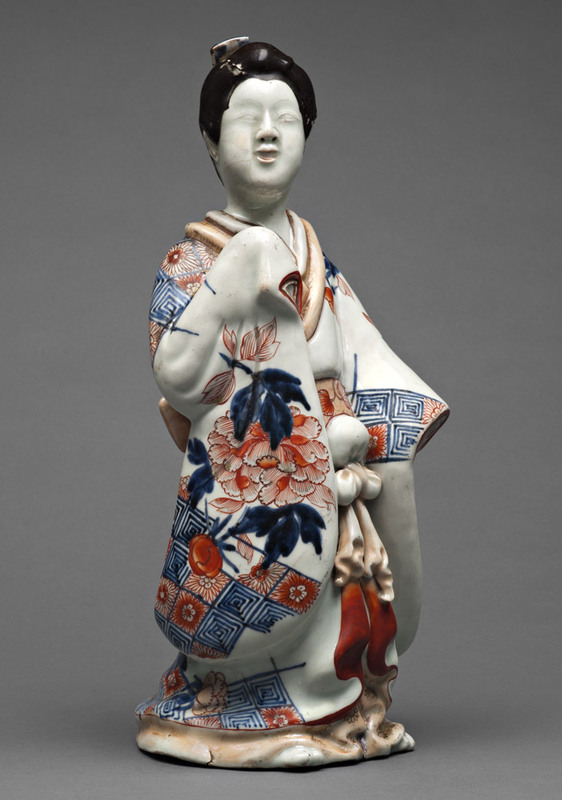 Standing figure of a bijin, decorated with peony and chrysanthemum design in overglaze polychrome enamels and gold. 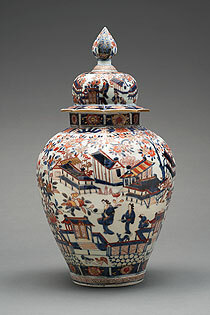 A rare lidded jar decorated with cherry blossom and female figure design in underglaze blue, overglaze red enamel and gold. 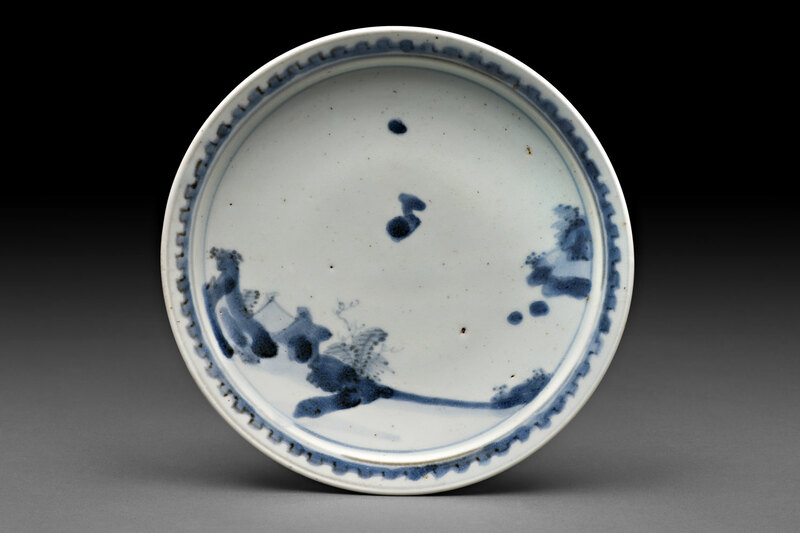 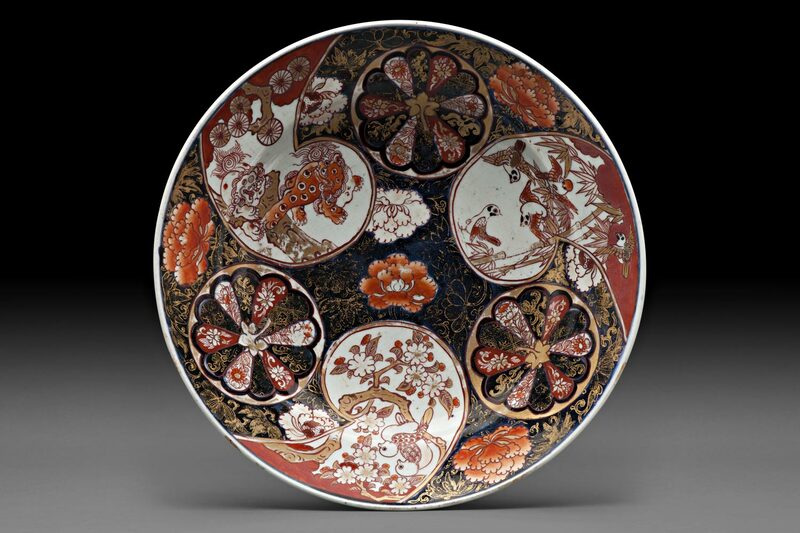 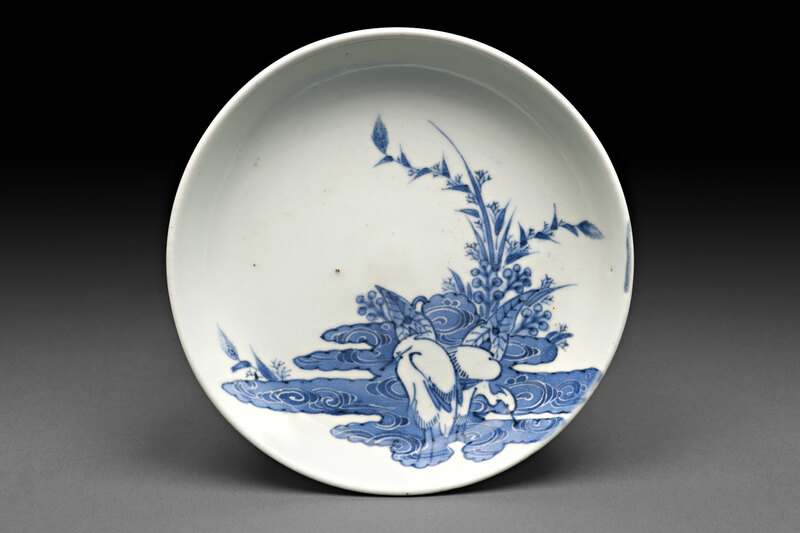 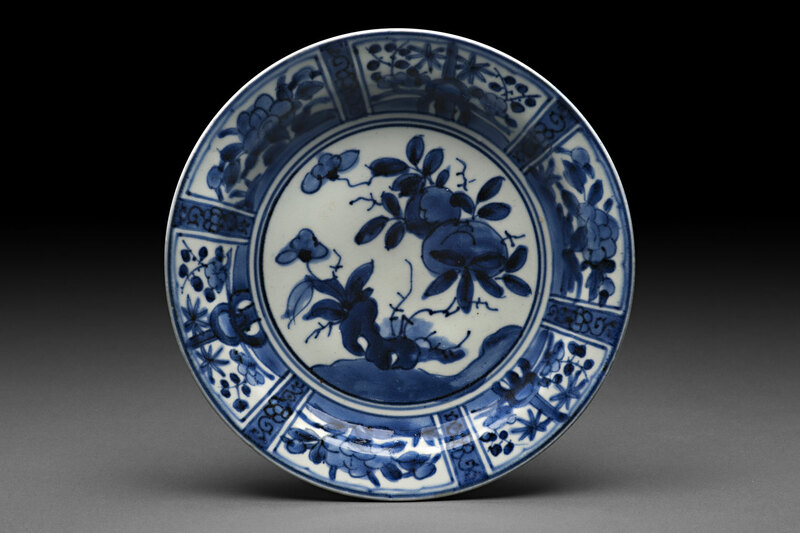 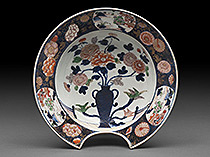 Dish decorated with Shishi lion, bird, peony and chrysanthemum design in underglaze blue, overglaze red enamel and gold. 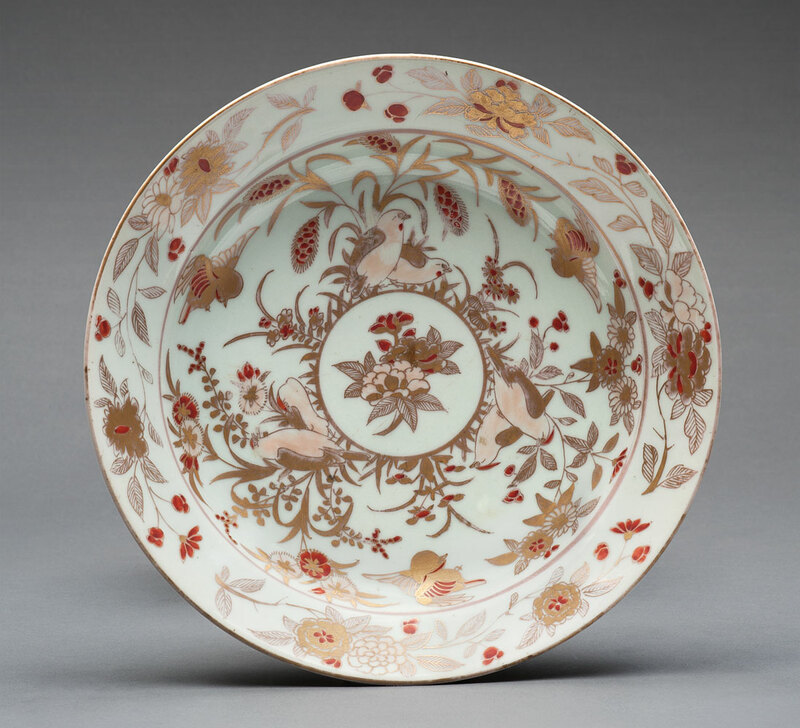 Octagonal dish decorated with bird, rock and peony design in underglaze blue, overglaze red enamel and gold. 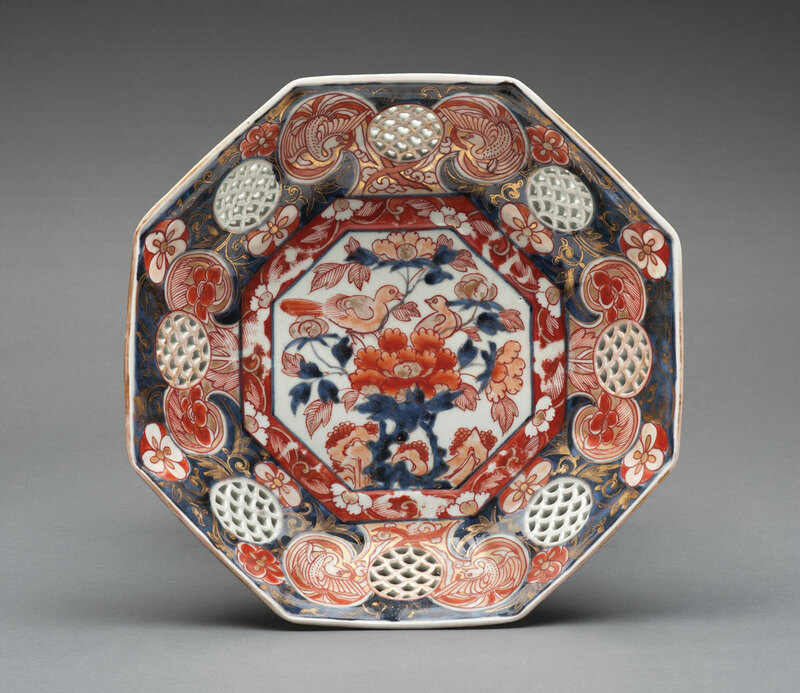 Dish decorated with a central vase of peonies and floral design in underglaze blue, overglaze red enamel and gold. 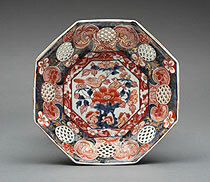 Octagonal dish decorated with Shishi lion, phoenix and flower vase design in underglaze blue, overglaze red enamel and gold. 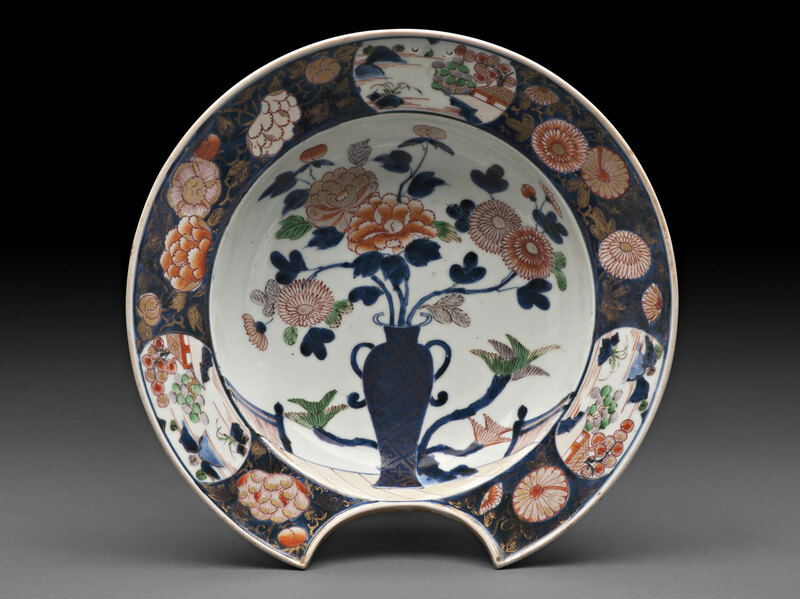 Dish for shaving decorated with a central vase of peonies and chrysanthemums in underglaze blue, overglaze polychrome enamels and gold. 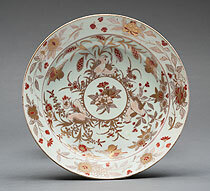 A rare dish decorated with quail, millet and peony design in overglaze polychrome enamels and gold. 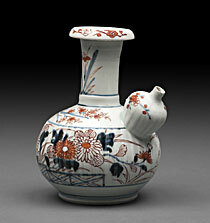 Ewer (Kendi), decorated with chrysanthemum, peony, and balcony design in underglaze blue, overglaze red enamel and gold. 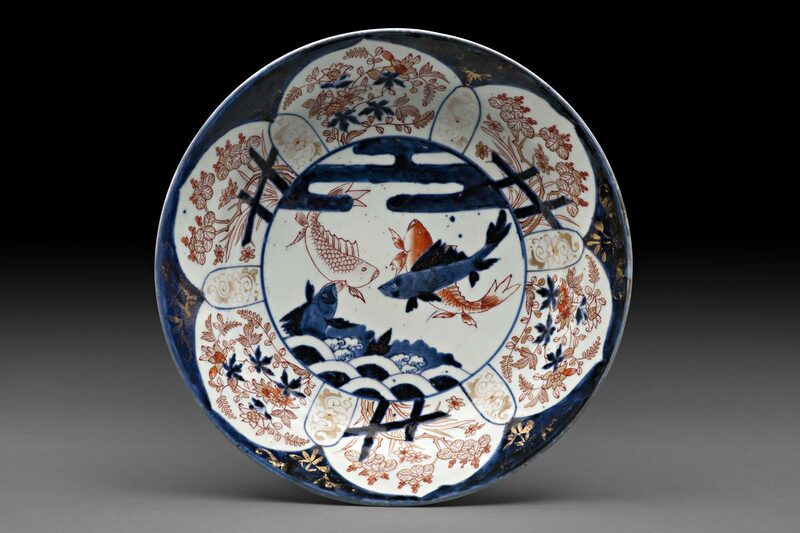 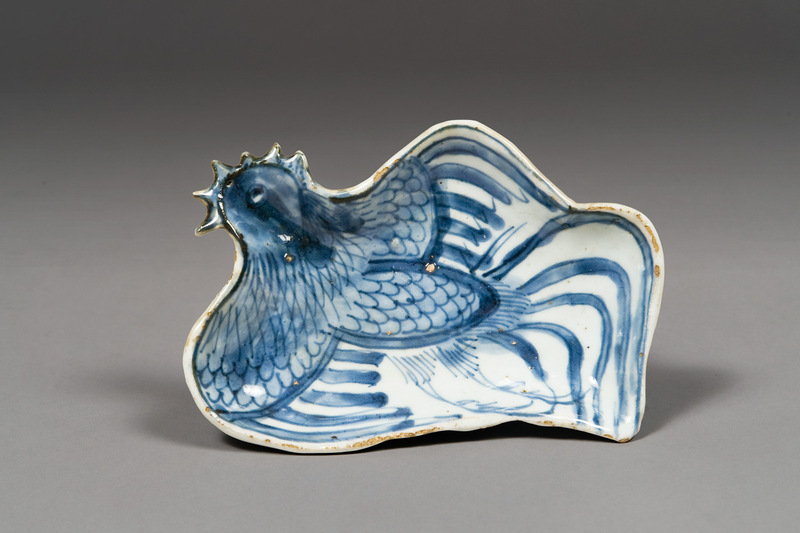 Dish decorated with fish and floral design in underglaze blue, overglaze red enamel and gold.